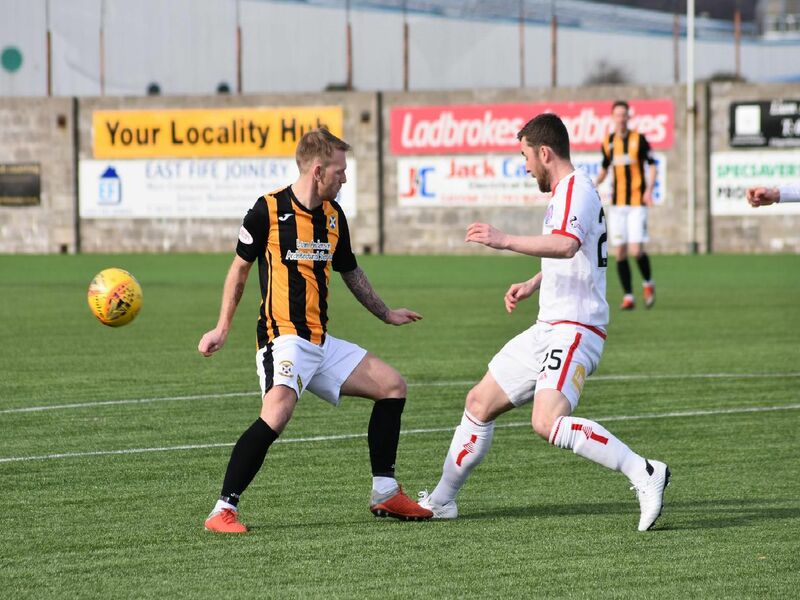 Selection of match pics from Saturday's 2-0 defeat to Brechin. All pictures taken by Kenny Mackay. Anton Dowds beats Andy Jackson in the air. Anton Dowds tries to wrestle the ball back from Craig Thomson. Ross Davidson dominates the middle of the pitch. Mark Docherty swings in a cross for the Fifers.